Boyds Bears Chloe Bunny has delicate and very soft mixed pastel plush fur. It measures approximately 12 inches and is retired. This bunny is an Easter friend with a uniquely pleasing look! Chloe features lop ears and big feet with embroidered pads! 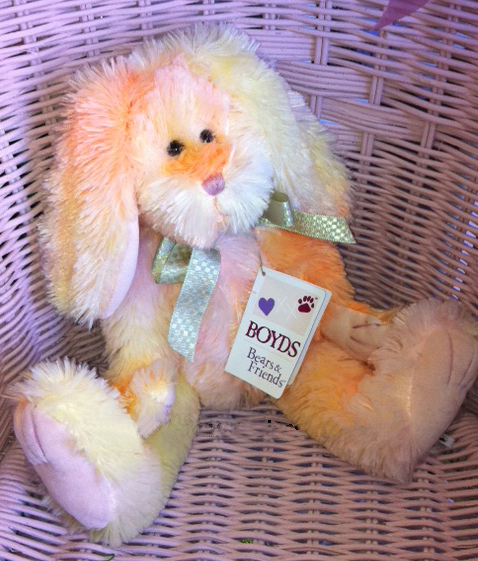 This Boyds Bear Bunny is in Mint condition with mint tags and comes from a non-smoking environment.